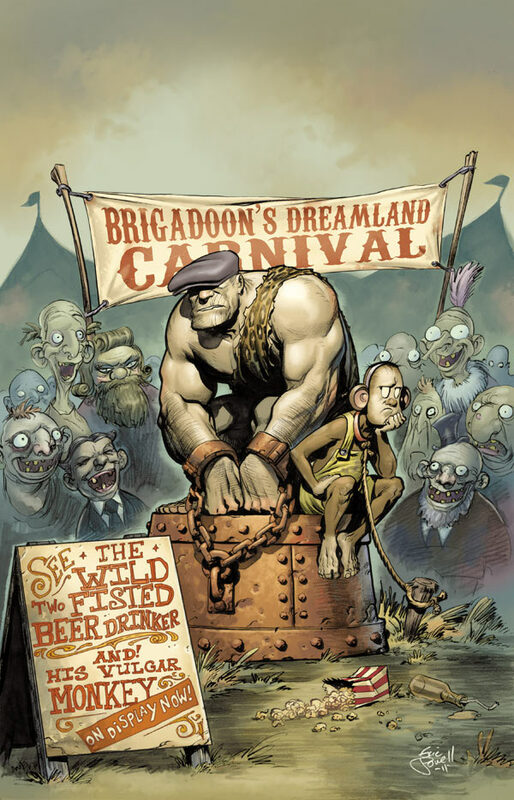 COVER OF THE MONTH: THE GOON #35 I think Eric Powell’s The Goon is the comic screaming loudest for the multi-media treatment. Just look at that Dave Stewart cover! Of course a “two fisted beer drinker” means it would have to be for mature audiences, but hey what cartoon couldn’t benefit from the addition of a vulgar monkey or two?? 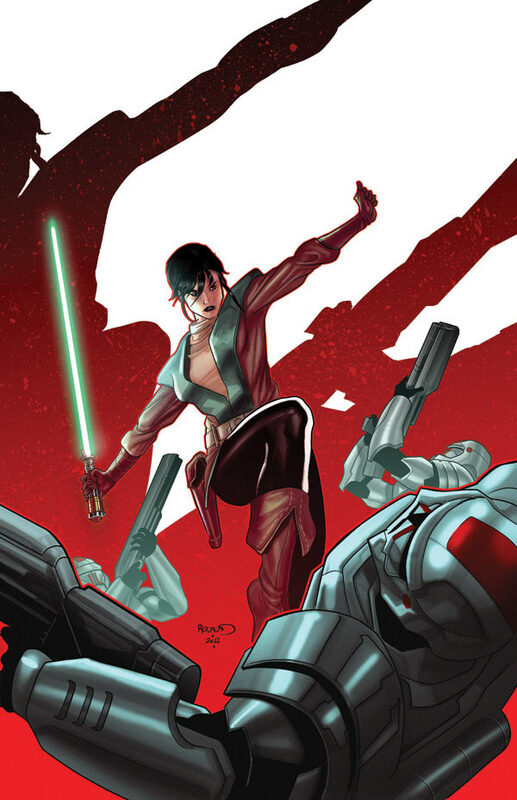 CLOSE CONTENDER: STAR WARS: KNIGHT ERRANT—DELUGE #1 (of 5) One Jedi, performing a rescue on a planet full of (and ruled by) Sith! Going a Soviet military style on the debut cover to this mini was a wise choice by Paul Renaud, as it really shows the odds against Kerra’s plight! More Dark Horse August goodies after the jump! I'm always in favor of beer and a vulgar monkey. The first time we all get together in your neck of the woods, Dan, we'll have to figure out who wears the monkey suit. Personally, I vote for Craig. The Jedi cover is gorgeous. That red shadow really jumps. You had me at the vulgarity. The monkey suit is just a bonus. The cover art that you posted is fantastic! I absolutely love it! Thanks for all the great comments folks - glad you all liked the art as much as I did! I'm easy, what can I say? Thanks for that Anthony! Glad you liked it too. Monkey Suit is bonus in any man's language Craig!